You spent hundreds, maybe thousands of dollars on your dress. It's a work of art, and simply the most beautiful thing you've ever put on. 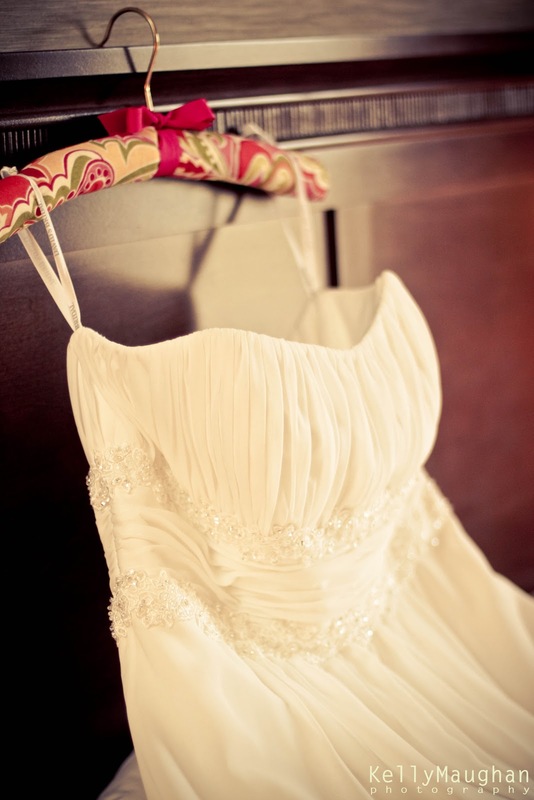 You've invested in a marvelous photographer, too, who takes the time to photograph your gown before you put it on in your getting ready shots. After all the thought and effort you put into choosing your gown, and selecting the perfect photographer to capture these moments forever, do you really want your dress to be hanging on an ugly plastic hanger? Many photographers carry a wooden hanger in their bag of tricks for just this reason. 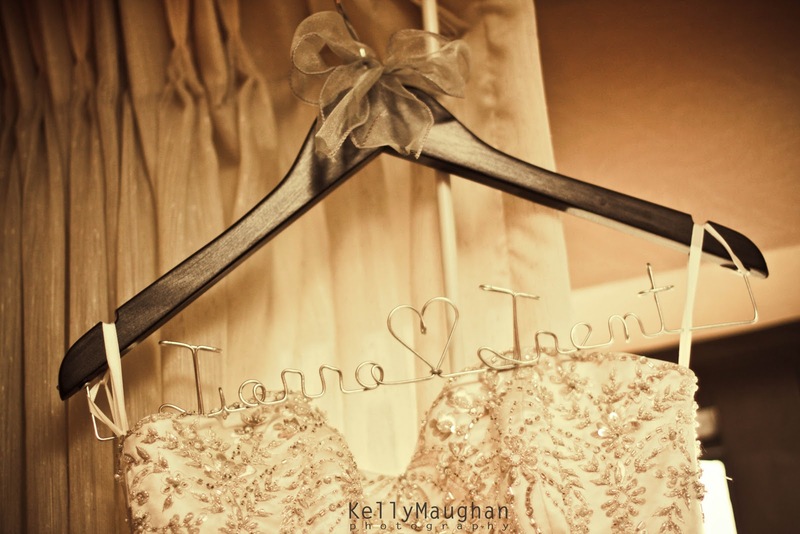 But not all do, and sometimes the photographer might forget to pack the nice hanger. 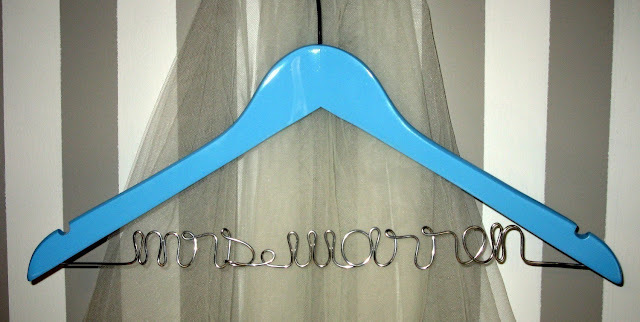 The hanger is something most brides don't even think about, but you have an opportunity to create a beautiful picture, something worthy of that gorgeous gown. 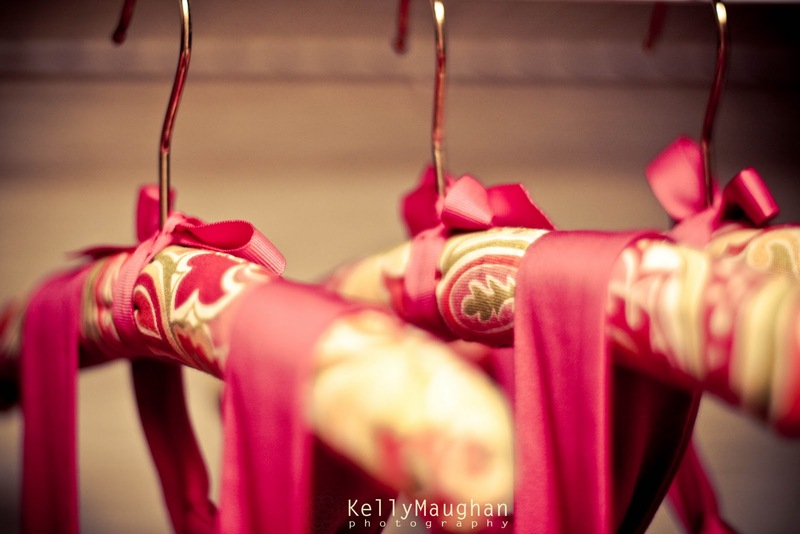 Check out these beautiful photographs from photographer Kelly Maughan. The bride made them herself to coordinate with the wedding colors! Aren't they just gorgeous, and the perfect touch? It's thoughtful details like this that really make a wedding stand out and capture my attention. See more fabulous pictures from Christina and Brandon's wedding on Kelly's blog. Like this look, but don't feel up to doing the work yourself, like Christina? Sellers on Etsy like Out Of the Closet Hangers are happy to make them for you at a very reasonable cost. 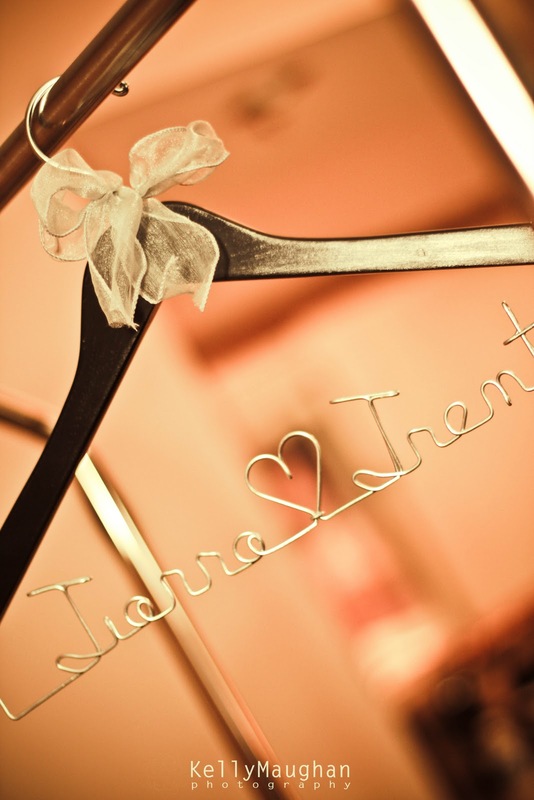 For another beautiful, custom hanger look, check out these pictures from Tiarra and Trent's wedding, also captured by Kelly Maughan. 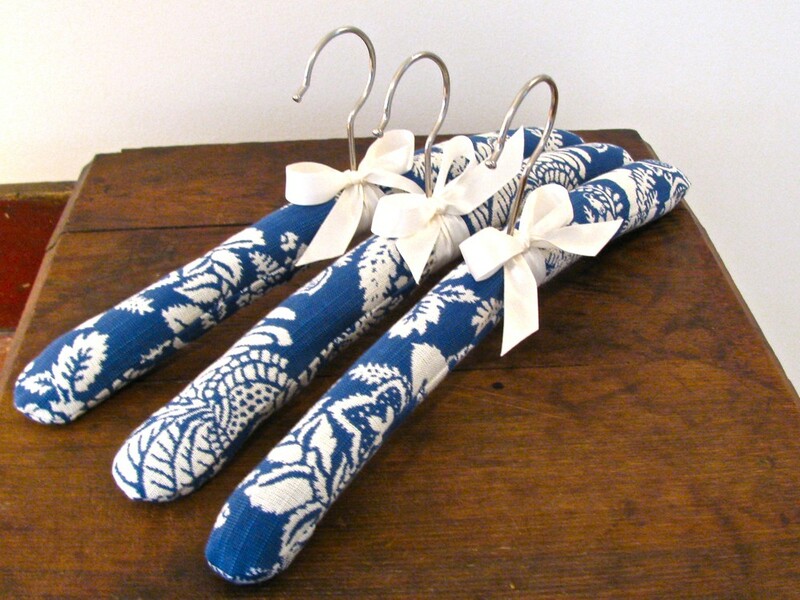 Banish plastic hangers! 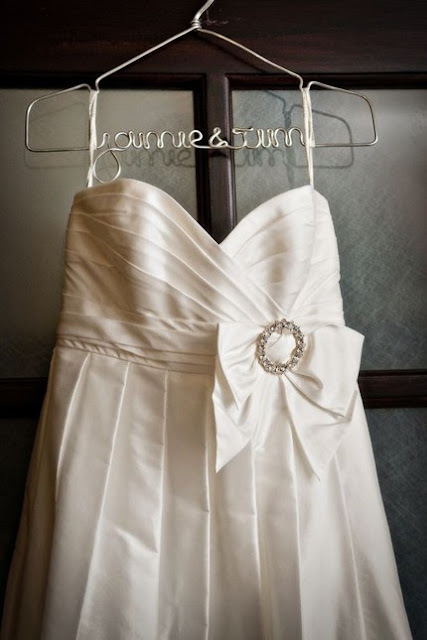 There are too many other pretty options out there to leave that spectacular gown on a lackluster, cheap hanger.